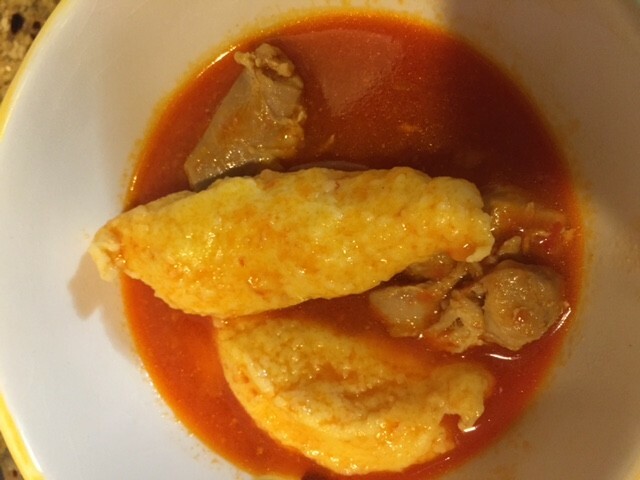 Chicken Paprikas is a great dinner idea and it’s pretty easy to make. This is definitely one of my kids favorite dish! Usually I make a double quantity of dumplings as they want extras. I have this recipe from my mom but it’s a Hungarian inspired recipe and there are different variations so you can definitely make this your own and if you feel something else is needed, maybe you have a favorite vegetable you want to add or change the meat type go ahead. 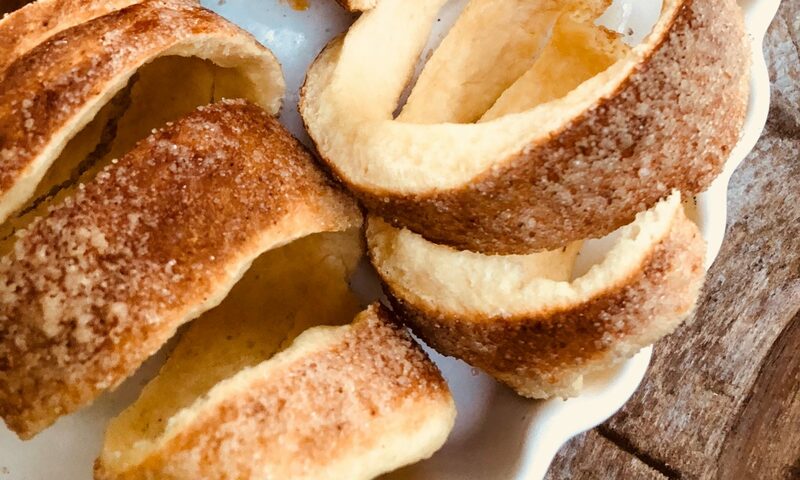 What makes paprikas a paprikas is the tomato sauce, paprika and the dumplings – those are an insanely delicious combination so keep those in your recipe. Usually when I cook a stew I don’t follow the exact recipe every time, instead I like to play with the ingredients and I often use whatever I have in the refrigerator. You can use any combination of meat – sausage / bacon / pork / beef / chicken add garlic, onion and spices, add wine and you are set for great reviews for dinner. 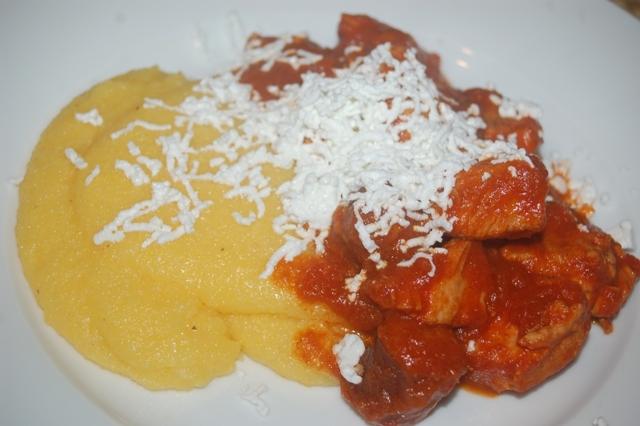 The meat stew goes really well with polenta and pickles or you can make some steamed or mashed potatoes on the side. Every time I go to a Romanian restaurant this is what I get. It’s a perfect combination of meat and tomatoes infused with wine and garlic, simply delicious. This is definitely a comfort food that you will want to serve all year round. 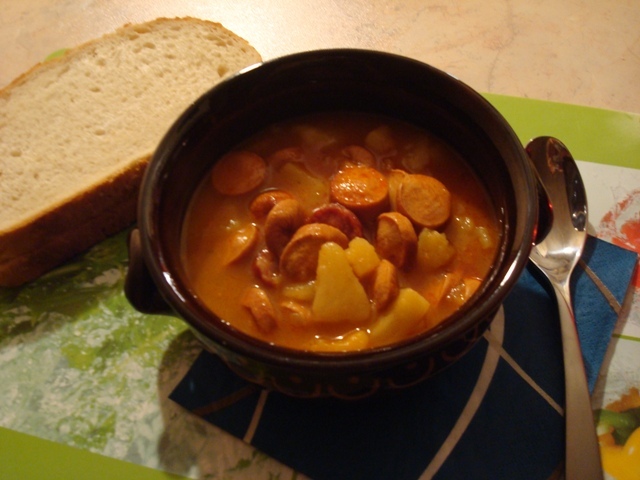 My friend in Hungary just made this easy delicious potato and sausage stew. 3 ingredients and spices, it doesn’t get much easier than this.